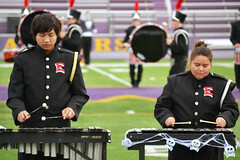 Educational activities play a major role in the growth and development of students at East High School. East High strives to provide students with a yearlong variety of activities, offering enrichment to the everyday course offerings. A few of these educational activities include debate (Jennifer Medina), IHSSA (Virginia Johnson), publications (Natalie Niemeyer), science bound (Amy Jacobson and Melissa McGrannahan) and Spanish club (Linnea Morris). Students participating in educational activities at East High are taking steps in becoming lifelong learners. East High School students are provided with a number of leadership opportunities. A few of these opportunities include student government (Kayla O’Connor), senior board (Kathy Clausen), and National Honor Society (Brian Koch). At East High, it is an expectation that students graduate with a world awareness and are actively engaged in their school and community. Student leadership activities provide students with this opportunity and the responsibility to actively engage and motive all students to get involved. Students at East High School come from many different backgrounds, all of which contribute to the richness of East High School’s educational experience. 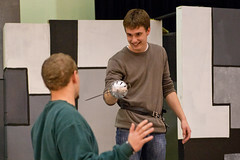 East offers a wide range of club opportunities to meet the interests of every student. These include 4-H club (Deann Hebert), chess club (Frederick Hunter), fashion show committee (Deann Hebert), movement 515 (Kayla O’Connor and Kortny Williamson), photography club (Joleen Weller), project sewing machine (Deann Hebert), the journey (Randy Nordaker), and Undroppable (Kortny Williamson). 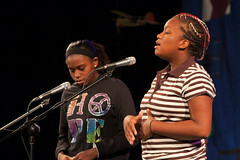 The music program for East High School includes extensive vocal and instrumental opportunities for students. East offers band (Joseph Thering), Orchestra (Jennifer Luft), color guard (Michelle Eggleston) and vocal music (Traci Squires). East’s goal is to ensure that all students have an opportunity to have a strong musical education and have access to programs that enrich their school experience. 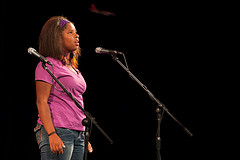 East also provides students with an opportunity to participate in theatre and play production (Jamaal Allan).